The bathroom is arguably the room within your home that harbors the highest moisture levels and provides the most nutrient rich environment for mold growth. Just keeping the bathroom clean is chore enough on its own. But, is simply keeping it tidy enough to prevent bathroom mold growth? The easy answer is No! The key to a mold free bathroom is preventing the mold growth before it’s even allowed to rear its ugly head…and the best way to do that is to eliminate dampness and moisture from the environment. A moldy bathroom isn’t just a hazard to your health, but it’s also a hazard to the health of the rest of your home. Here are 6 easy steps you can take to help prevent mold growth from starting in your bathroom, and gaining the opportunity to spread to other areas within your home. 1. Start with the right paint. 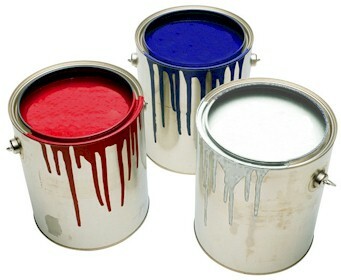 By using paint that is specifically formulated for the kitchen or bathroom, it can make mold growth difficult. A bathroom or semi-gloss paint can make your walls surfaces easier to wipe down and more resistant to stains. It also can help prevent any moisture from seeping through and impacting your wall material. 2. Make Sure to Seal Your Grout Annually. Any tiled surface that gets wet regularly should be sealed with a proper grout sealer once a year, in an effort to waterproof your tiles and prevent moisture from seeping through. If water is allowed to make its way behind your tiles, a serious mold problem could start that could result in costly remediation and renovation efforts. 3. Squeegee it up! 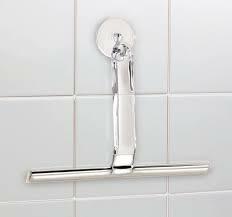 Buy a handy squeegee that can secure to your shower walls or glass door. By keeping it handy, it will be a friendly reminder to squeegee any glass or wall surfaces that get wet during your bath or shower before you step out. This simple task can eliminate 75% of the moisture that is left behind and also help prevent water stains that can be difficult to remove. 4. Extend Your Curtain. 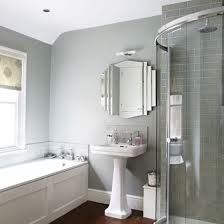 If you use a shower with a curtain instead of a glass door, it becomes very important to stretch it out across the entire length of the rod after your done showering. But using this simple trick, your shower curtain will dry much quicker and can also prevent mold growth from starting within the folds of your curtain. 5. Keep it Clean and Leak Free. Cleaning your bathroom walls, toilet, bathtub and sink with an all-purpose cleaner can go a long way in preventing mold growth. 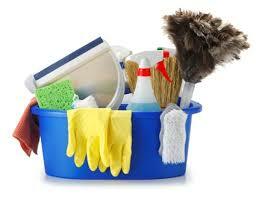 Spraying the surface and allowing time for it to disinfect before it is wiped clean is also very beneficial. A regular washing of your fabric shower curtain also helps and remember, when cleaning you should make it a habit of checking for new or un-noticed leaks to ensure you catch them early. 6. Keep it Ventilated! This could be the most important step you can take to prevent moisture retention in your bathroom. 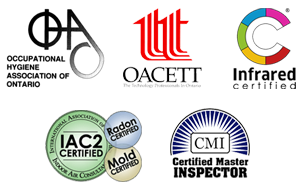 It’s important to discourage mold growth by getting any bathroom dampness out of the environment as soon as possible. A bathroom exhaust fan, properly specked for the size of your room, and vented to the building exterior, should be used both during, and after your shower to help reduce steam, circulate the air and allow for faster drying when finished.